Are you thinking about making your backyard a little piece of paradise this summer? If so, the Minneapolis Home and Garden Show is a great resource for getting ideas and meeting our design experts at Outdoor Innovations. 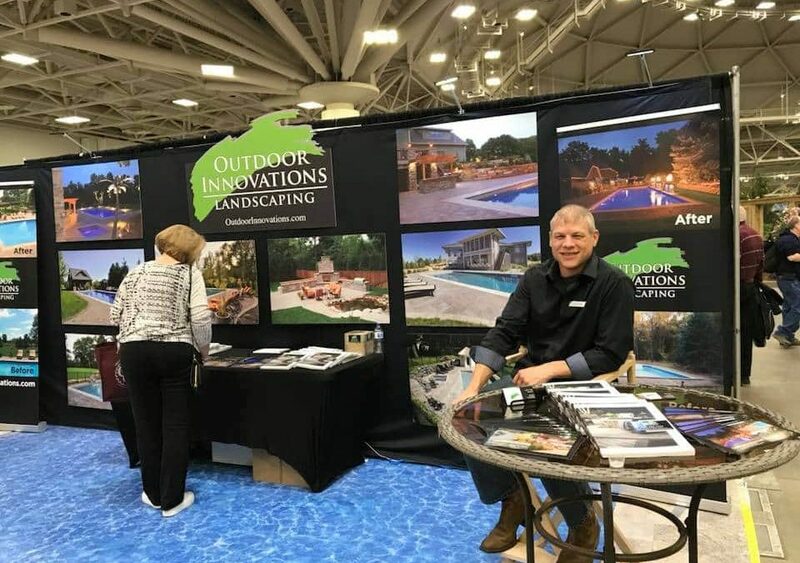 Outdoor Innovations is once again sponsoring the 2019 Minneapolis Home and Garden Show. You’ll be able to see our work in action when you visit the patio lounge. The pavers floor and retaining walls are a bit of our handiwork. You’ll also find our design experts in our booths throughout the Show. Be sure to let us know if you’re planning to attend. We have FREE tickets to give away. Just let us know when you’ll be attending, your name and the number in your party and we will leave tickets for you at the Will Call Booth located near the entrance of the Show. Outdoor Innovations Landscaping specializes in full Landscape Design and Installation with an emphasis on Swimming Pool Design and one-of-a-kind Outdoor Living Spaces. From award winning Paver Pool Decks to custom built Outdoor Kitchens, we can help design and install your dream backyard. We look forward to meeting at the Minneapolis Home and Garden Show taking place February 22-14 and March 1-3, 2019 at the Minneapolis Convention Center!